By now, most company executives recognize that sustainability must be integrated into their core strategy. Unfortunately, not many executives understand why—or, worse, they proudly wear some kind of sustainability PR badge because they have a paragraph on the “about us” section of the website. Here are nine reasons they—and all of us—might want to redefine how we approach sustainability. 1. Lower Costs. 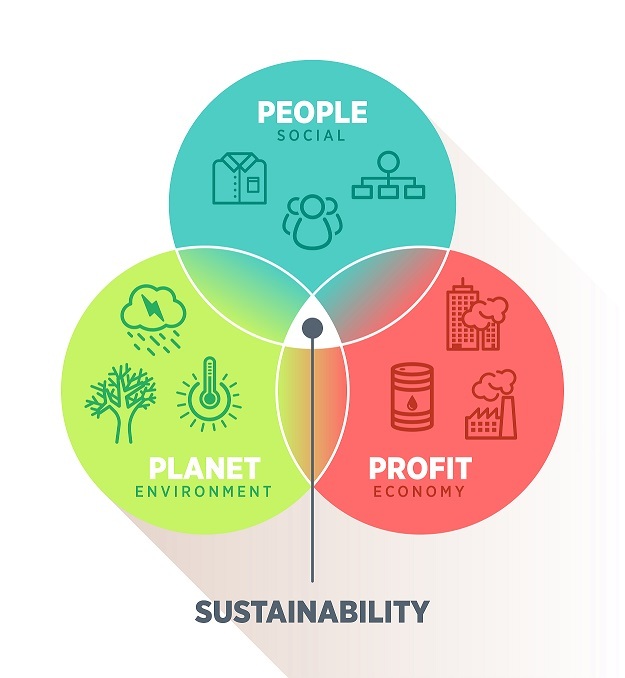 Sustainability drives profitability. For example, Intercontinental Hotels says it is saving $30,000 a month at two San Francisco hotels by micromanaging peak power. Watch for companies using the uninterrupted power supplies (UPS) in their datacenters to do the same thing. They might even “rent” spare capacity on their UPS to utilities –UPS as a profit center anyone? 2. Increased Revenue. CBRE surveyed San Diego and found that green buildings commanded 18% higher rents ($2.42 per square foot versus $2.02 per square foot) and higher occupancy rates (88.3% vs. 84.3%) than conventional buildings. Other surveys show similar results. 3. Higher Capital Value and ROI. In real estate, higher rents and lower turnover translate directly into higher capital values that can average 10.9% for new buildings and 6.9% for older ones. It also helps you control your utility bill. 4. Leveraging Broadband Investments. As part of a smart grid upgrade to make its electrical system more efficient, municipal utility EPB installed a 1-gigabit fiber optic network that reaches more than 172,000 homes and businesses in Chattanooga, Tennessee. By building one network for both grid and Internet traffic, EPB was able to leverage its investments and construction costs, and provide local residents, along with businesses like Volkswagen and Amazon, with some of the fastest Internet service in the country. This project will become a model for many communities. 5. Brand. Sustainable brands outperform their peers by 120%. 75% percent of retailers say sustainability has strengthened or mitigated their brand. I’ve seen several private studies by the top branding agencies in the world that say similar things. 6. Customer Engagement: Ask anyone that has retrofitted their restaurant or store with LED lighting: patrons linger longer. Anecdotal evidence is also being gathered about higher sell through rates (let alone more savings, of course, as solid state lighting and lighting networking can cut light power consumption by 70 to 90%). 7. Recruiting. Workers under the age of 25 rank an employer’s reputation as an important draw for a job. “It is one of the soft things that many companies don’t understand but it is crucial in the retention and moral of employees,” Larry Vertal of AMD has noted. “It is amazing how the highest talented people will grill you about your sustainability practices in job interviews. 8. Health and Wellness. Workplace and building design can have a direct impact on motivation, employee satisfaction and productivity. If you’re not freezing or complaining about the heat, you’re going to get more done. This benefit may be tough to quantify, but the compelling anecdotes are growing. Hewlett-Packard found that lighting controls can reduce migraines. There is also data showing that respiratory problems drop in retrofitted buildings. 9. Datacenter Performance. With the trend towards cloud everything, data center managers are some of the biggest believers in sustainability as electricity can consume up to 30% of the operating budget. Google claims it has saved over $1 billion through its energy efficiency measures in its datacenters. What kinds of measures can be taken in a data center environment? Designing for energy efficiency, can free up floor space, reducing real estate costs. Lowering wasted heat extends equipment lifetime and reduces failures. Even innovations like flash memory storage systems—one of the more interesting new ways to reduce power consumption— let companies get more work done with fewer machines. The list could go on. What are some the results and unexpected benefits you’ve seen? And how do you think we can use hard data to move the ball forward?